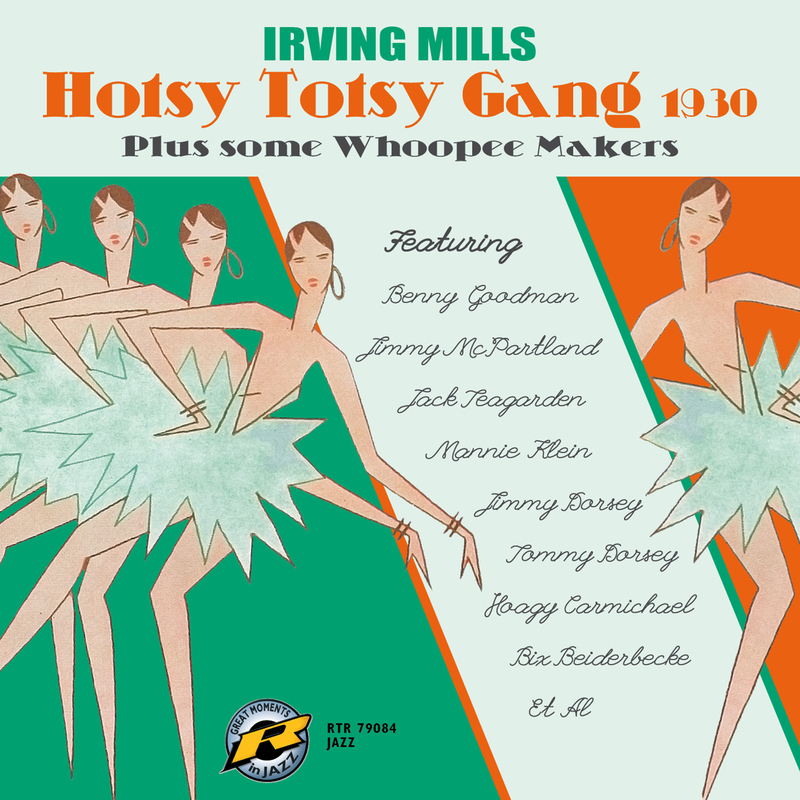 Irving Mills and his Hotsy Totsy Gang 1930 plus some Whoopee Makers is yet another strong release by Retrieval Records, a branch of Challenge Records with wonderful historic recordings. For this collection, the label has put together music by Irving Mills and his Hotsy Totsy Gang, recorded in 1929 and 1930. Irving Mills was a jazz publisher who also went by the name of Joe Primrose, and, together with his brother Jack, was also owner of Mills Music. When the brothers sold Mills Music, the company had grown into the biggest independent music publisher worldwide. But Mills was not only a publisher, he also was a singer, lyricist, song writer, responsible for artists and repertoire and in addition also managed numerous bands, including Cab Calloway, Benny Carter, Fletcher Henderson, Mills Blue Rhythm Band as well as, between 1926 and 1939, the Duke Ellington Orchestra. He sang, but was no musician, and yet Irving decided to put together his own band for studio recordings. Among Irving Mills and his Hotsy Totsy Gang were Tommy Dorsey, Jimmy Dorsey, Joe Venuti, Eddie Lang, Arnold Brillhardt, Arthur Schutt and Manny Klein. The recordings of the Hotsy Totsy Gang that were made between 1929 and 1930 boast some of the best white jazz musicians of their time, often with spectacular results. Sometimes Mills sang on those recordings, other times he merely arranged recording dates and selected musicians. Many recordings that can be heard on this album of the Hotsy Totsy Gang are “so hot that the music should be written down on sheets of asbestos”!